NEW YORK, July 27, 2017 /PRNewswire/ -- Concierge Auctions, the world's leading luxury real estate auction firm, announced today that Betsy Roberts has joined the company as vice president of sales operations. Roberts' primary focus is to develop a centralized sales team in Concierge Auction's Austin, TX office that, in conjunction with the firm's field sales force, will add scale and efficiency to the company's operations worldwide. 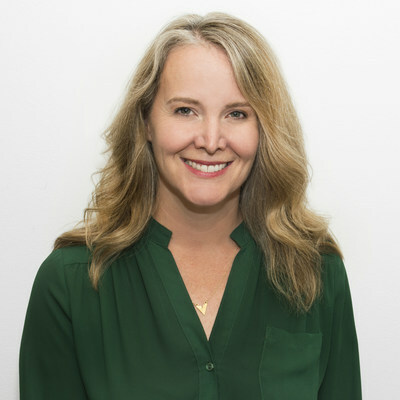 "Betsy has a proven track record in scaling global sales teams uniquely designed to support digital marketplaces. This hire is a significant step in our ramp-up to meet the emerging 24/7 aspect of our business," stated Concierge Auctions Chairman Chad Roffers. "Betsy is knowledgeable, talented and innovative — all assets that make her a critically important addition to the firm." Roberts spent the last six-and-a-half years building a global sales operations team at vacation rental marketplace HomeAway, helping the business scale from a pre-IPO stage to a public company. She earned her MBA from the University of Texas, and has 20 years of operations management experience at various organizations. "I was initially attracted to Concierge Auctions because of the firm's rapid growth, cutting-edge technology and innovative sales and marketing strategies," stated Roberts. "Overseeing the development of this centralized sales team will ensure around-the-clock services to enhance the overall customer experience. My ultimate goal is to create an efficient and knowledgeable sales team whose members are available to answer questions from prospective buyers and sellers around the world at any time." In addition to Roberts, Concierge Auctions also recently added managerial bench strength to its data team and private client group, with the hires of Neil Stout, director of data strategy and management, and Clark French, managing director. The firm is actively sourcing additional sales, technology and marketing roles, which can be viewed on its profile page at www.glassdoor.com. For more information about positions with Concierge Auctions or its services, please call 212.202.2940.